Google parent Alphabet on Thursday reported strong gains in quarterly results, beating most market forecast despite rising costs for its "moonshot" efforts. Alphabet reported a 29 per cent jump in quarterly profit to $5.4/£ 4.7 billion, while revenue jumped 22 per cent compared with a year ago to $24.75/£19.11 billion. "Our excellent results represent a terrific start to 2017," chief financial officer Ruth Porat said. "We clearly continue to benefit from our ongoing investments in product innovation and have great momentum in our new businesses across Alphabet." The Google segment delivered the overwhelming majority of revenues for the company -- or $24.5/£18.92 billion. The so-called "other bets," which include smart home devices, self-driving cars and life sciences, took in $244/£188 million in revenue but delivered an operating loss of $855£660 million, Alphabet said. The stronger-than-expected results helped lift Alphabet shares more than four per cent in after-hours trade on Wall Street. The results did not appear to show a major impact of an ad boycott of Google's YouTube earlier this year after revelations that programmed ads were placed alongside videos showing hateful content. Porat told a conference call that "YouTube revenues continued to grow at a significant rate driven primarily by video advertising." Overall ad revenues for Google rose 19 per cent to $21.4/£16.52 billion in the quarter. Google has promised new efforts to match advertisers with appropriate content, using artificial intelligence, in response to complaints. Sundar Pichai, chief of Google, cited "fantastic momentum" for a variety of products including its Google Assistant, the smart home device that competes with Amazon's Alexa-powered speakers. 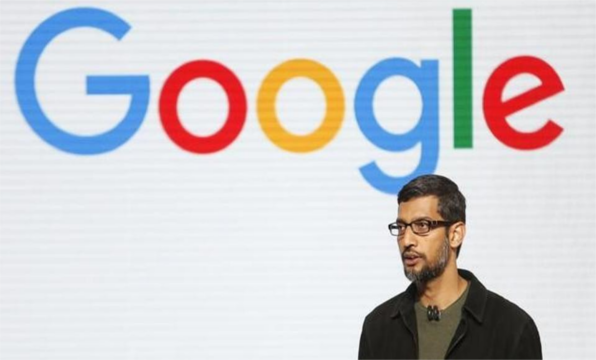 Pichai said the device is one element in a strategy focusing on artificial intelligence, or machine learning. "Advances in machine learning are helping us make many Google products better," he said. Company co-founder and chief executive Larry Page said in a letter to shareholders Thursday he is pleased with the direction under the new corporate structure, which separates Google from its "moonshot" operations. "With the change to Alphabet, oversight has been easier because of increased visibility," he wrote. "We have streamlined efforts where it made sense and in other areas we have seen places to double down. I also think we have learned a lot about how to set up new companies with a structure for success." Page added that "we are taking a patient approach to investing our capital, especially significant uses. We're not going to invest if we don't see great opportunities and we feel like our track record for picking some important efforts long before others is pretty good." He said the company is benefitting from efforts on artificial intelligence developed by the Google Brain and DeepMind operations. "We were early in machine learning and are already seeing significant dividends coming out," he said. "Many of the Alphabet companies are already using this technology and are planning to use it even more." He said he and co-founder Sergey Brin "are having a good time looking for new opportunities and managing and scaling our existing efforts." Under its new structure, Alphabet is seeking to expand beyond its role as a search engine that provides advertising linked to queries. Last year, Google took on rivals Apple, Samsung and Amazon in a new push into hardware, launching premium-priced, in-house designed Pixel smartphones and a slew of other devices showcasing artificial intelligence (AI) prowess. The group also is selling its Google Assistant which aims to compete with Amazon's Alexa-powered devices as a hub for the smart home, and has been working to become the platform for some connected cars. Online Banking offers authoritative insight and opinion on international news, politics, business, finance, science, technology and the connections between them.